This Service wish to inform the general public that it has uncovered and foiled sinister plans by Islamic State of West Africa (ISWA) terrorists to cause mayhem and destruction that would have disrupted the Eid-Kabir Sallah festivities of 1st – 4th September, 2017. The plan was to conduct gun attacks and suicide bombing on selected targets in the Federal Capital Territory, Abuja, Kano, Kaduna, Niger, Bauchi, Yobe and Borno States. 2. The mastermind of the operation is Husseini MAI-TANGARAN, a well known senior ISWA commander who has been on the Service and Nigeria Army radar since 2012, when he spearheaded the armed attacks on the office of the Assistant Inspector General of Police (AIG) Zone I, on 20th January, 2012, as well as other public places in Kano. MAI-TANGARAN was also responsible for the deadly explosive attacks against worshippers at the Kano Central Mosque as well as an attack on a military formation in Yobe State in 2015, which claimed hundreds of lives. 3. 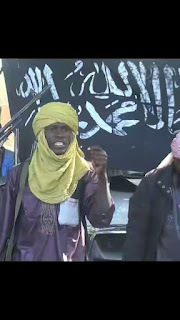 Under the banner of the Islamic State in West Africa (ISWA) which he belongs, MAI-TANGARAN, an IED expert had been prepping and priming others for the perpetration of suicide bombing attacks carried out by the group in the past within the North-East region. 4. He was arrested in Kano, on 31st August, 2017, and further exploitation, led to the arrest of one Abdulkadir Umar MOHAMMED by the Service on 2nd September, 2017, at Kantin Kwari Market in Fagge LGA, Kano. 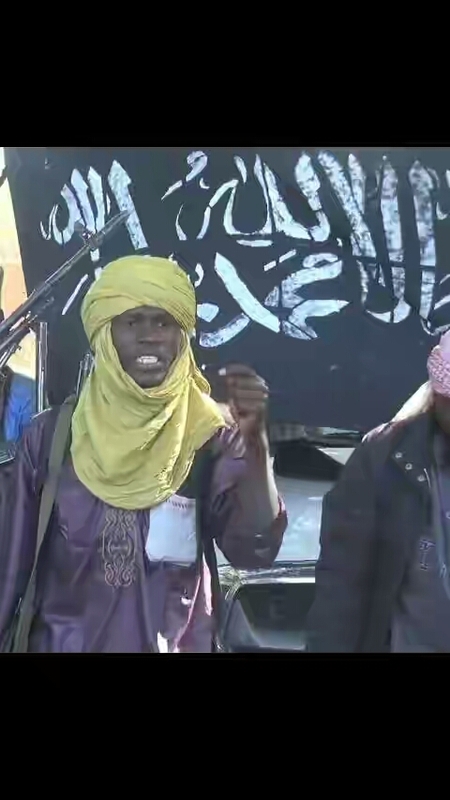 MOHAMMED was a fighter of the sect who left the conclave of the group in the Sambisa forest, to join ranks with ISMAILA towards carrying out the attacks being planned by the group. 5. Also, another accomplice in the plot, one Muhammad ALI was arrested on 3rd September 2017, at Sheka area in Kumbotso LGA of the State. Prior to his arrest, ALI was the financial courier of the group in Kano. He was one of the conduits through which funds and other material logistics were channeled to the group from foreign extremist elements/sponsors. Like Abdulkadir Umar MOHAMMED, ALI was involved in the plot to perpetrate the planned attacks in Kano and other States in the North during the just concluded Eid-Kabir celebration. 6. Furthermore, in a related tactical operation on 3rd September, 2017, the Service apprehended the duo of one Yahaya Mohammed ABATCHA and Yusuf MOHAMMED, along Top Medical Road, close to Mobile Quarters in Tunga area of Minna city, Niger State. ABATCHA and MOHAMMED are both fighters of the Habib Al-BARNAWI-led Islamic State of West Africa (ISWA). The duo are the leading elements of a cell of the extremist group and have been hibernating and furthering the doctrines of the group in the city. They were also to be responsible for operations in FCT Abuja, Kaduna and Niger States. 7. In Borno, Bauchi, Yobe and Gombe axis, based on credible intelligence, the Service in concert with sister security agencies, conducted a counter-terrorism operation on 29th August, 2017. This resulted in the apprehension of one Abdulkarim MOHAMMED aka BABA MAIGIWA, at Ajilani area of Jere LGA in Borno State. BABA MAIGIWA was apprehended based on intelligence which indicates his status as a spy/ double agent to the Boko Haram group in the North-East region. The suspect has been spying on targets in Maiduguri, particularly troops’ deployments/positioning and subsequently passing same to elements of the group in Sambisa forest, while also pretending to be working for the security forces. 8. Meanwhile, in a follow up operation after the arrest of Baba MAIGIWA, the Service further arrested the three (3) individuals who are currently cooperating in providing useful information on the diabolical plans of the group. Meanwhile, two (2) golf saloon cars, one ford vehicle which was serving as logistic vehicles have since been intercepted. 9. In a bid to stem the flow of arms and ammunition in the ongoing criminality and gangsterism in Benue State being perpetrated by Gana AKWAZA-led gangs, the Service arrested Moses PEVERGA in Abuja. Subject who is based in Lokoja, was trailed and apprehended after investigations revealed him to be a major source of arms supply to the GANA group and other criminal groups to perpetrate the violence in Benue and other adjoining States of Kogi and Nassarawa. The Service is pursuing other leads to arrest other individuals who are believed to be involved in these plans. 10. This Service wish to thank the general public for its support and cooperation in providing useful information on criminal and terrorist elements in their domain. The Service also wish to reiterate its stance that no matter how long, every perpetrator of violence and criminality against the Nigerian State and its law-abiding citizens, shall be made to face the full course of justice.